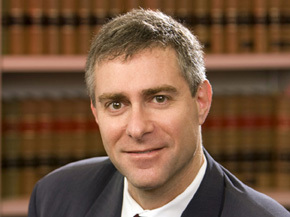 Ronald N. Rosenwasser graduated from the University of Florida School of Law, with Honors, and the University of Florida School of Accounting, with Honors. Mr. Rosenwasser concentrates his practice in developing new franchise systems and serving existing franchise systems in all aspects of their business, including legal compliance, franchisor-franchisee negotiations and relationship management, state franchise registration and renewals, trademark matters, technology, and corporate issues. Mr. Rosenwasser founded and served as the Chairman of The Florida Bar’s Franchise Law Committee. He is an editor of The Florida Bar's Franchise Law and Practice. He also served for many years as the International Franchise Association’s Director of Franchise Business Network Programs for South Florida. He has also served on the Executive Council of The Florida Bar's Business Law Section. Mr. Rosenwasser's many other affiliations include the International Trademark Association, the International Franchise Association's Council of Franchise Suppliers, Committee X (International Franchising) of the International Bar Association, and the ABA Forum on Franchise. Mr. Rosenwasser is a former certified public accountant and developed a continuing education program for the Florida Institute of Certified Public Accountants entitled "Franchising - Business, Tax, Financial Statements, Earnings Claims and Other Essential Issues." Mr. Rosenwasser has written and lectured extensively on franchising and licensing, as well as other business expansion strategies. His presentations and articles include "Understanding the Legal Environment for Franchising," "International Franchising and Distribution," "Federal Franchise Law - What Is A Franchise and How Is It Regulated," "How to Franchise Your Business," "Franchise Litigation: Causes of Action, Procedural Issues, Strategies and Ethical Considerations," "Structuring Growth Via Distributorships/Dealerships, Company-Owned Outlets, Licensing Arrangements and Other Non-Franchise Alternatives," and "Twilight Zone: Regulated v. Unregulated Licensing, Dealership and other Business Expansion Methods." Mr. Rosenwasser is licensed to practice law in Florida and Massachusetts.